FAST Consulting is a member of the East Coast Consultants web design and usability coalition. Our members can help you with nearly everything: from showing you how to use your software to designing and testing your database-driven web application. Together, we have track records in biomedical websites and devices, international information databases, non-profit membership and information systems, telecommunications, online catalogs, web and mobile storefronts, and more. We've also done usability testing, both in-lab and remote unmoderated, as well as project management, business-systems consulting, graphical design, and interface design. Each member has an extensive network of his or her own, so if you don't see your area listed on this page, just ask--we'll be able to draw in someone with the right expertise. A project has enough internal overhead without your contractor adding more. FAST Consulting adds neither time nor financial overhead to your projects. If you just need mentoring, you can work directly with one of our mentors. If you need help with a major project, FAST Consulting can manage it and subcontract with the other members for you. Or if another member would be the better lead, he or she will manage the project. Please send requests for proposals (RFPs) to susan -at- fast-consulting.com or, for a free half-hour consultation from FAST Consulting, call us at 718 720-1169. 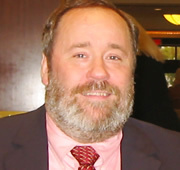 Dr. Bradford was the founding dean of the College of Information Technology at Georgia Southern University and, as of Fall 2008, a full professor of computer science. He teaches human factors and usability at both the graduate and undergraduate levels at Georgia Southern. He has written user requirements specifications for the Canadian Post Office and user interface design for Bell-Northern Research. 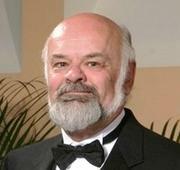 See Jim Bradford - Mini Bio for details. From May 2006 to April 2007, Susan Fowler was an analyst for Keynote Systems, Inc., which offers remote unmoderated user-experience testing. She is currently a consultant at FAST Consulting and the sole proprietor of Fast Smart Web Design. With Victor Stanwick, she is an author of the Web Application Design Handbook (Morgan Kaufmann Publishers), and two other interface design books. Chris Koster is a researcher, workshop facilitator, and writer. He is currently managing editor of User Experience magazine. Chris has over 25 years of experience as a user-experience professional, most of it at Bell Laboratories creating the software used to route phone calls, monitor networks, create directories, and otherwise make the voice, data and wireless network services work reliably and efficiently. Chris specializes in information architecture, user experience design and usability testing. Alice Preston is a user experience specialist with extensive experience in large, small, and nonprofit companies. Alice is especially interested in how technology can provide good solutions for those with special needs, whether cultural and language differences, physical or mental access challenges, or access challenges stemming from equipment and bandwidth difficulties. Until recently, Alice has been part of a project digitizing and presenting large amounts of research material about Africa, on a Web-based application suitable for low-bandwidth situations (see http://www.aluka.org). 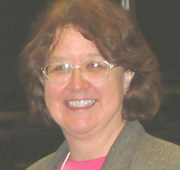 Mary R. Smith is a researcher, workshop facilitator, and writer. Mary provides consumer interface analyses of ‘black box’ products that are unsupported by documentation or staff. Mary has consulted on digital-rights management, teleconferencing, automatic speech recognition, interactive-voice-response systems, monitoring systems, inventory systems, and geographical information systems, among others. Victor Stanwick was born, quite accidentally, into genteel poverty along the shores of the East River in Greenpoint, Brooklyn, sometime in the middle of the last century. He was raised in an atmosphere of benevolent violence and readily adopted mayhem as a personal code of conduct. Victor attended school sporadically throughout the last half of the previous century and still cannot spell worth a dingo's kidneys. Victor acquired his extensive knowledge of graphics and design through innuendo and conversations in bars and has parlayed his talents into a successful business career by marrying wisely. Victor helped start a small software company about ten years ago that was recently acquired by IBM (much to IBM's dismay). Victor currently sits in an office paid for by IBM and does little if anything to uphold the great traditions of hard work and diligence so vital to the corporate identity IBM has strived so long to achieve.